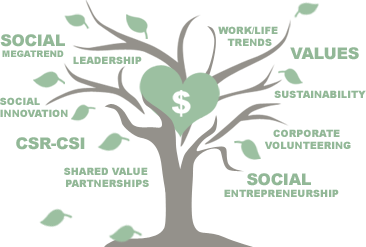 We inspire and help companies create social and economic value. For the benefit of society and the bottom line. Starting up a project or campaign, preparing a training programme or conference, or developing your new business strategy? Our key services are for you.